Doris Taylor is trilingual: she speaks English, Chinese and her native Taiwanese. 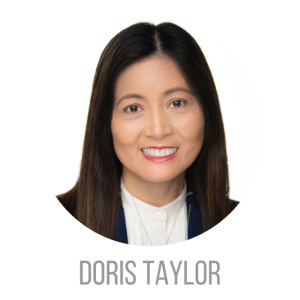 Originally from Taiwan, Doris Taylor moved to England to earn a graduate degree in business administration at Manchester Metropolitan University. After she graduated from England and earned an MBA, she moved to US with her husband. Her years living aboard advanced her business training along with other valuable skills that she uses daily in supply chain management and contact negotiation in corporate settings. Along with a great passion for real estate investment, she brings these valuable business skill sets in contract negotiation, educating homebuyers, sellers and property investors. In addition, she brings determination to provide the world-class service. For example, Doris joined the Preferred Ohio Sales Team to help all her clients achieve their finance goals and to assist them in finding their perfect home. Outside of Real Estate investment, Doris enjoys travelling, running different marathon events and building Legos.